Our strength as women has always come from our bonds to the women in our lives. When the bonds are strong, it’s like we feel connected to a timeless unbreakable rope that keeps us safe and strong no matter the storm … feeling seen, heard, witnessed we gain courage from within that I would argue has been behind the biggest shifts in human herstory, and behind the biggest shifts we’ve made in our own lives … be that taking a leap of faith out of a job or a relationship or into a new life or a fuller expression of ourselves, rooted in our truth, surrounded by the power of a circle of sisters. Yet sisterhood, true sisterhood is anything but easy. 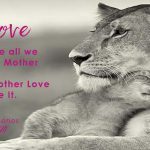 I’ve seen and experienced myself the carnage that can come through the wounds our relationships with other women can cause, even from truly conscious women. Accusation. Blame. Betrayal. Competition. Collusion. Cutting Off. Maybe you can relate? And I’ve also experienced women really leaning into sisterhood, listening, choosing to open their hearts and find a deeper truth and road to sisterhood even when we’ve seen things differently. 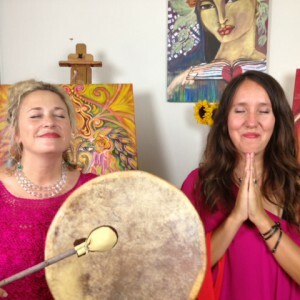 And as a result of owning our stuff, and communicating through the heart, we’ve found even more of our feminine power, presence and purpose. Stronger through our vulnerability and realness. 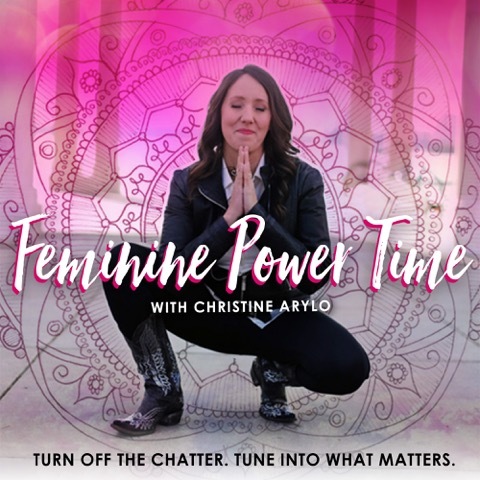 When our female bonds are cloaked in the shadow of blame, betrayal, competition, separation and more we lose our power at our feminine core. I am dedicated to lighting up the shadow of our feminine bonds + shoring up our individual and collective strength when we can operate at a soul level vs ego level. For too long the feminine has been diminshed in her power and presence because of the wounds in our hearts from our connections with women. 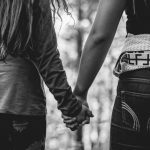 The ABCs of Sisterhood that weaken and destroy our bonds – from Accusation to Blame and Betrayal to Competition and Collusion. Why it happens, the truth of how it harms the feminine heart, and what we can do instead. AND ADD YOUR SISTERHOOD STORY HERE..
What shadow of sisterhood have you experienced? 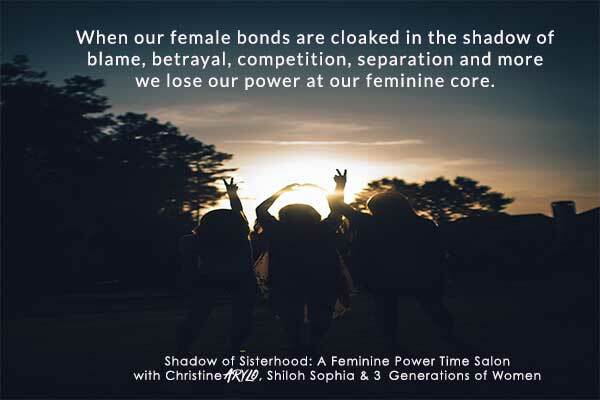 How did you transform the shadow to strengthen the sisterhood? Error: Error validating access token: Session has expired on Friday, 19-Apr-19 12:24:14 PDT. The current time is Thursday, 25-Apr-19 10:58:47 PDT.